Terrariums are back in style and they’re a fun, easy way to grow and showoff your plants. Terrariums are made of glass and are generally enclose or have a few holes in the cover to provide fresh air. The glass cover traps humidity and recycles it as water, keeping waterings to a minimum. Air holes allow air to circulate and keep the condensation down so that you can see the plants. If your container’s lid doesn’t have air holes, just take the top off from time to time. This is a great way to grow ferns indoors because they need humidity to thrive. You may not be familiar with hydrostone, a product used for the base layer. It’s a soilless growing media that feels like pumice. It helps deliver the perfect balance of air and water to your plants. It’s a 100 percent recycled product, made in the United States. Begin by adding a one inch layer of hydrostone in your glass container. Top that with a solid layer of sphagnum moss. This helps hold the soil in place and keeps the stone layer looking clean. Next, add an inch or so of Espoma’s Potting Mix. Choose your plants. Laura uses maidenhair ferns because they require a high level of humidity, which work perfectly for this type of container. Birds nest ferns and staghorn ferns also work well and look terrific with the curly foliage of the maidenhair ferns. Fern displays are all about texture. Gently remove the plants from their pots and shake off as much soil as you can before nestling them into the new container. Top with a bit more potting soil if necessary. Decorate the top layer with more moss, rocks, miniature fairy garden figures or natural products like pinecones. Whatever you think will look beautiful is the best choice. Leave one little spot of the top soil open. This way you can look at it to gauge how wet or dry the soil is. Mist soil lightly. At first, it’s a good idea to check your container once a week for watering needs. In general, they’ll only need water about once a month but each terrarium is slightly different. Don’t kill it with kindness, in other words, don’t over water it. Set your new creation in bright light but not direct sun light as the glass can act as a magnifying glass creating too much heat. Fertilize every other month with Espoma’s Indoor! Liquid fertilizer. Now, sit back and enjoy your very chic looking new art project. Check out Garden Answer’s terrarium video. Espoma Products for Fern Terrariums! Philodendron are one of the most popular, versatile, and easy to grow houseplants on the planet. Trailing plants lend an air of the tropical to your indoor jungle. They drape casually down from bookshelves and windowsills, looking graceful with their heart-shaped leaves. They’re absolutely ideal for hanging baskets. It is often said they thrive on neglect and that is not far from the truth. There are over 200 different varieties, some with split-leaf foliage, some with variegation but all are perfect for even novice plant parents. Philodendron can survive with very little light but will grow faster and healthier in bright indirect light. They will sunburn in harsh, direct sunlight. Your container should have good drainage. Water when the top 50 percent of the soil is dry, about once a week. If the foliage begins to turn yellow, it’s an indication of too much water. Conversely, if the leaves turn brown, your plant needs more water. Philodendron grow well in normal household temperatures, between 70°-80ºF during the day and above 55º F at night. Average home humidity levels are fine but an occasional misting or rinsing off the leaves would be welcome and remove dust. Over-watering can cause root-rot but yellow leaves will warn you to slow down the watering. While they are rarely bothered by pests, it’s a good idea to keep a look out for aphids and mites. If you do see them, try Insect Soap. 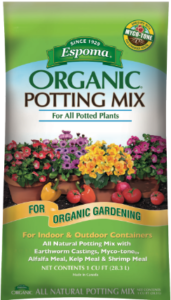 Always use a quality soil like Espoma Organic Potting Mix for optimum plant health. Repot once a year. Feed your plants once a month in spring and summer and, once every other month in fall and winter with an organic indoor plant food. NASA lists a Heartleaf Philodendron as a clean air plant that removes formaldehyde, a chemical found in insulation, floor coverings, cleaning agents, pressed wood, and even paper towels, from the air. Looks exactly like its name. This succulent tolerates drought and does best in bright light. Long, leafy vine that prefers bright, indirect light and moist soil. Will grow fairly well in low light too. Beautiful purple foliage on trailing stems with attractive zebra patterned foliage. Perfect for hanging baskets. Elegant plant that vines with age, prefers bright light and moderate watering. Thinking about more indoor plants? Check out this video on the top low-light plants!